Social Security’s Opens a New Window. reserve funds are expected to be depleted in 2035, at which time the program will no longer be able to pay out benefits Opens a New Window. in full. Fortunately, I imagine I'll be worm food by then, so it'll be somebody else's problem. I'd guessed that they'd run out in the late 1970s or early 1980s, but evidently guessed wrong. The 77-page lawsuit was filed in U.S. District Court in Eugene on behalf of 10 young people in Oregon’s foster care system by two child advocacy groups and a prominent national law firm. The plaintiffs seek class action status to represent all children in the system. Gov. Brown from Minnesota will just have taxpayers pick up any costs. Heaven forbid that she should have to pay anything to defend her long history of inaction! SACRAMENTO, Calif. (KOVR) — Hotels in California may no longer be able to provide guests with tiny bottles of shampoo, conditioner, lotion, or other personal care products. No word yet on whether the California Assembly plans to ban real poo in addition to sham-poo. “[Mitch McConnell] has done a whole bunch of unpatriotic things, has really been a force of polarization in this nation. History will not be kind to him,” Holder declared Monday on MSNBC. Mitch didn't run "Operation Fast and Furious", Eric. During the Obama-era Fast and Furious scandal, he became the only sitting Cabinet official in American history to ever be held in contempt of Congress. Why? Because of the efforts he made to obstruct justice by purposefully hiding information from congressional investigators. In a fair and just world, Eric would be doing his interviews from behind bars. The New York Times reported this weekend the problem has spread across the country. As the costs of handling recycled materials mount, many of them are being burned or thrown in dumps. 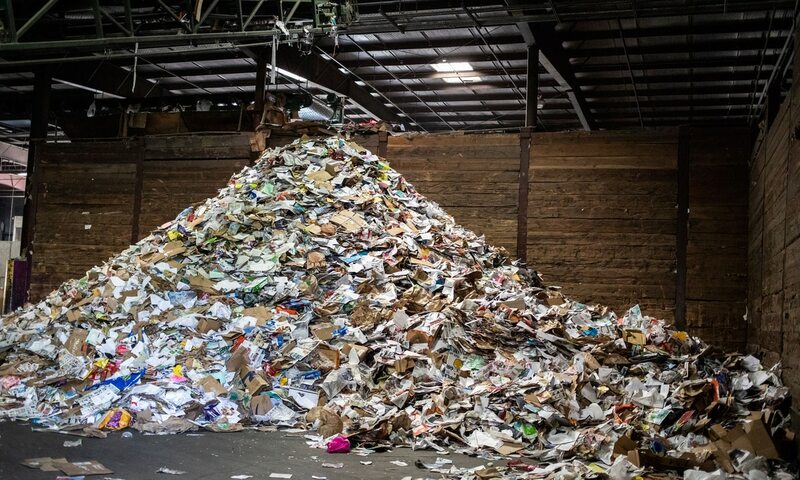 "Philadelphia is now burning about half of its 1.5 million residents' recycling material in an incinerator that converts waste to energy," the Times reported. Personally, I've never cared much for mandatory recycling programs that have been in vogue among Oregon politicians for years now. I occasionally take bottles and cans to one of those stupid "BottleDrop" locations, but those are a crashing pain: drive for several miles, lug your returnables in, wait until a machine is available, then place the containers in - one at a time. It was much more convenient when the machines were at stores; particularly the ones where you could just dump a sack-full of cans into the hopper. Now, not so much. And what about all the dreaded greenhouse gases you emit as you drive past the stores that used to have deposit return machines as you drive further to a "BottleDrop" place? How "green&sustainable" is that? Looks Like We Be Outta Portland! House just sold, finally. So now we get to pack up all the stuff - and there's a lot to pack after all these years. We'll be moving to a larger place on the outskirts of Tigard, well away from the Portland morons. It's a lot of work, but we can hardly wait to get away. Portland used to be a nice place, but not so much these days. It's worth the work to get out of here. Colorado’s Civil Rights Commission announced Tuesday that it will dismiss its latest charges against cake artist Jack Phillips. You might remember Phillips from his victory at the US Supreme Court last summer. After the Supreme Court ruled in favor of Phillips, the Colorado Civil Rights Commission decided to attack him on this new charge. Instead of watching another case slowly creep through the courts, attorneys at the Alliance Defending Freedom went on the offense, suing the bureaucrats for their anti-religious bias. Well if that's the way they're going to play, the bureaucrats decided, then they'll just take their ball and go elsewhere. They really don't see why the guy and the attorneys backing him don't just play by the bureaucrats' rules, but having been burned badly during the last dance, they've decided not to do-see-do with those folks again. Finally, bureaucrats have some sense pounded into them! Ann Arbor won't have all that much in the way of arbors in the future; the city council of "Tree City USA" is planning a new law establishing solar access boundaries on properties, and looking at vegetation trimming standards and building setback requirements. Why? Because they want people to spend money sticking solar panels on the roofs of their homes, and the darned trees will eventually interfere with that grand plan. It's amusing; here in Green&Sustainable Portland, you have to spend hundreds to thousands of dollars for a permit to trim or remove a tree on "your property" - and if you remove a tree, you must replant one from the city's approved tree list. If you don't, they'll do it and bill you $500 whether you like it or not. Ann Arbor seems to be moving in a diametrically opposite direction. They don't want people's trees or structures throwing shade on the solar arrays of the neighbors. Property rights? What are those?